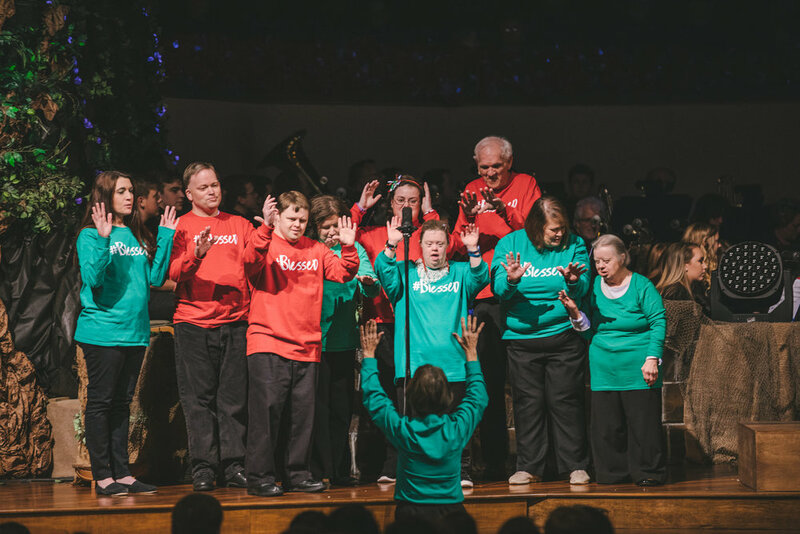 Our desire is to share the good news of Jesus to young and old with special needs. We seek to offer a safe and friendly environment for your children to experience God's love. We provide sound amplification devices for hearing aids and also have interpreters available on Sundays during 11:00 AM Worship. Our Special Needs class meets Sunday mornings at 8:00 AM in Room 104. To learn more about this fantastic class, visit Find A Group or contact Ronnie Graveman at 205.631.8686. GFBC is proud to be a sponsor of the Gardendale Miracle League. We encourage our members, with and without special needs, to be part of the fun and excitement of Miracle League baseball. For more information call 205.631.6580. Our annual Easter Egg Hunt has become a great event for families in our community. Families can hunt eggs indoors rain or shine! For more information email us or call us at 205.567.2612. For a guidebook designed specifically for students with down syndrome that goes in-depth on individualized education plans, the importance of inclusivity, scholarships and grants, and colleges for students with down syndrome click here.